Historical fiction is a literary genre in which the plot takes place in a setting located in the past. The term is commonly used as a synonym for the historical novel. An essential element of historical fiction is that it is set in the past and pays attention to the manners, social conditions and other details of the period depicted. 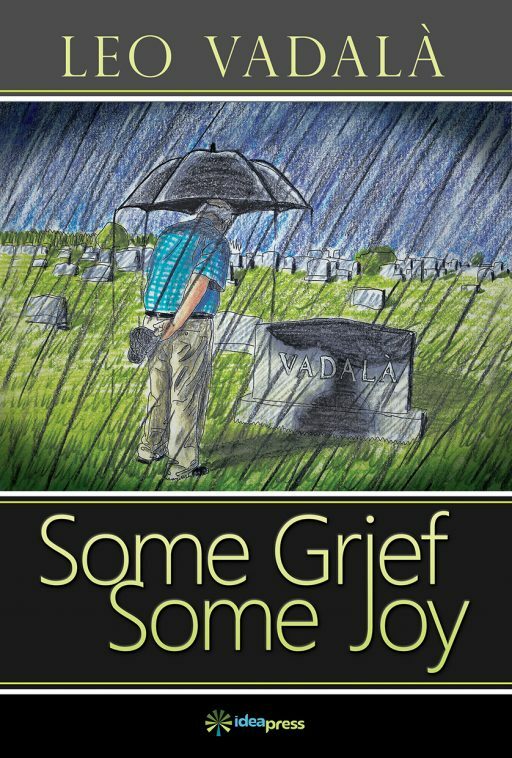 Based upon this definition, the recently published novel Some Grief, Some Joy by Leo Vadalà is a work of historical fiction. But we also have fictional history, where we change the course of real history by changing a particular detail, and history becomes quite different or not, depending upon how relevant that detail is. Some Grief, Some Joy follows a pattern that resembles the one of fictional history, and it is unusual that the final outcome, spoiler alert, is not any different from the real one. So, the author is able to plug in an imaginary tragedy and all the immediate consequences that follow, and still obtain to reach the identical end of the game. Imagine doing that to the story of your life. However simple it may seem at first, a life of straight choices: school, work, family, love, and whatever other variants you had; tragedies, for example, who doesn’t have one or more? But how big were they? Did they change the course of your life? Maybe. But if they didn’t and you were to narrate your life, what would a big tragedy add to the drama of your life? Would your life be the same? We are talking about the author’s life, of course, and this could be a magnificent memoir, but Mr.Vadalà felt that plugging in some mysterious diversion would make it more interesting, and so it is: it becomes a magnificent novel. Through the difficulties and the enthusiastic discoveries that follow immigration at 16, we discover an attentive observer of our society of the time, with its vices and virtues. The narrative brings the protagonist eventually to a point where his real life and fantasy become a blurred, undistinguishable story. This is where the author is at his best and we may forget that it’s a novel and not a memoir; regardless, we are going to be absorbed by the various ups and downs of his life and get so emotionally vested in the story that it doesn’t matter anymore: we want to know more! Adding to that, the author chooses to use a direct, extroverted approach to the language, making it easy to read, if at times almost colloquial, intimate to the point of making you feel as if you are reading a secret diary and that may be too personal: we are peeking into someone’s life. Because of its frankness and the delicacy of the situations presented, the book is not suggested for young readers; let’s say we can assign it a PG13 rating. All in all, this is a breathtaking story told in a marvelous, well-paced style, and it deserves to be read.